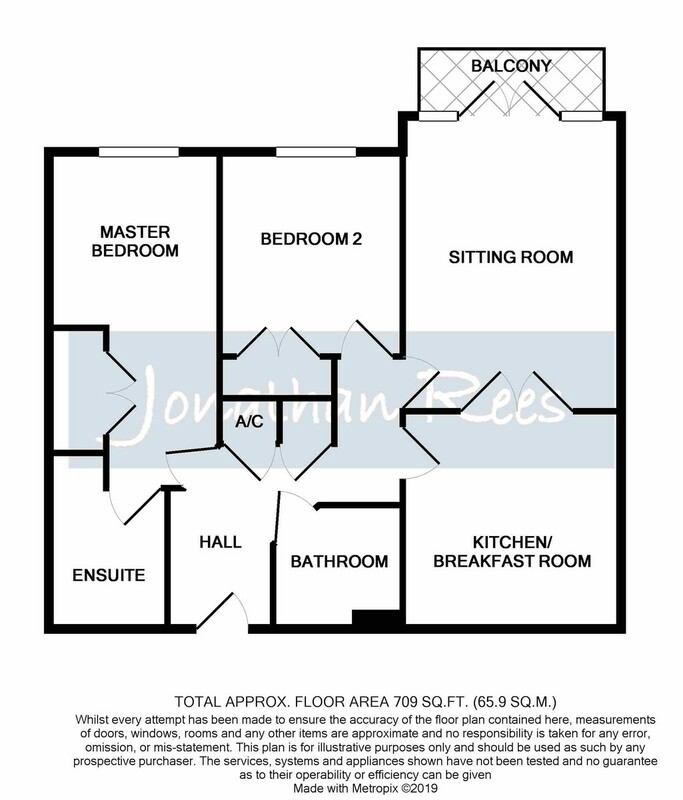 We are delighted to offer this well presented top floor apartment in a desired over 55's development in Hursley Road. Set back from the road, it is in easy reach of the train station, bus routes and local amenities. Benefiting from allocated parking, balcony, en-suite to master bedroom, a communal residents lounge and kitchen and attractive communal gardens. ENTRANCE HALL Smoothed and coved ceiling, entry phone system, doors to all rooms, airing cupboard and storage cupboard housing consumer unit, emergency alarm system and night storage heater. KITCHEN/BREAKFAST ROOM 11' 2" x 11' 0" (3.4m x 3.35m) Smoothed ceiling, modern fully integrated kitchen with Neff appliances. With a range of base and eye level units and work surface over with under cabinet lighting, 1 and 1/2 sink and drainer with mixer tap over, tiled splash backs and flooring, integrated fridge/freezer, dishwasher, washer/dryer, electric oven, hob and extractor over. Wall mounted heater. ENSUITE Smoothed ceiling with inset spot lighting and extractor fan, a modern suite comprising of a double shower cubicle with wall mounted shower mixer, low level WC, wall hung wash hand basin with mixer tap over, heated towel rail, tiled to principle areas, shaver point, vanity cabinet. BEDROOM TWO 10' 10" x 8' 11" (3.3m x 2.72m) Smoothed ceiling, double glazed window to the front aspect, built in wardrobe, wall mounted heater. BATHROOM Smoothed ceiling with inset spotlights and extractor fan, white suite comprising of panelled enclosed bath with mixer tap and shower attachment over, low level WC and wall hung wash hand basin with mixer tap over, heated towel rail, tiled to principle areas, shaver point, cabinet. OUTSIDE To the front there is allocated parking and visitors parking. To the rear is the well maintained communal garden.